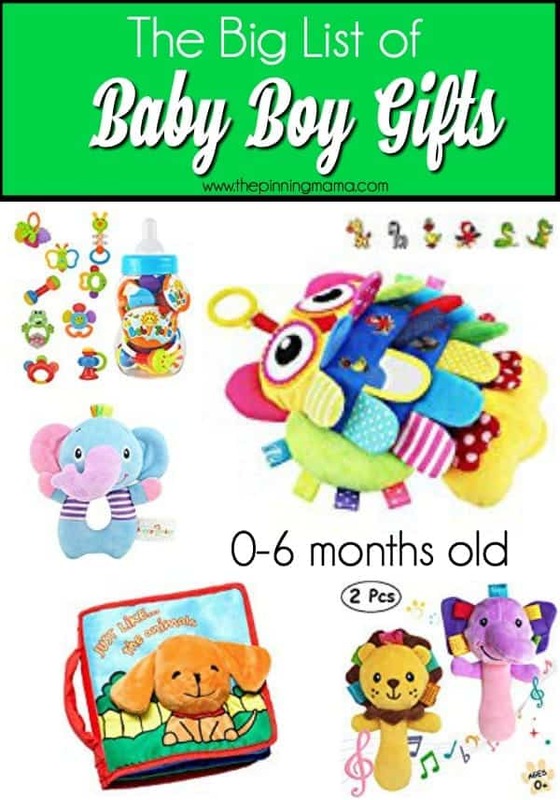 Searching for gifts for babies can be tough but trust me when I have made shopping easier. 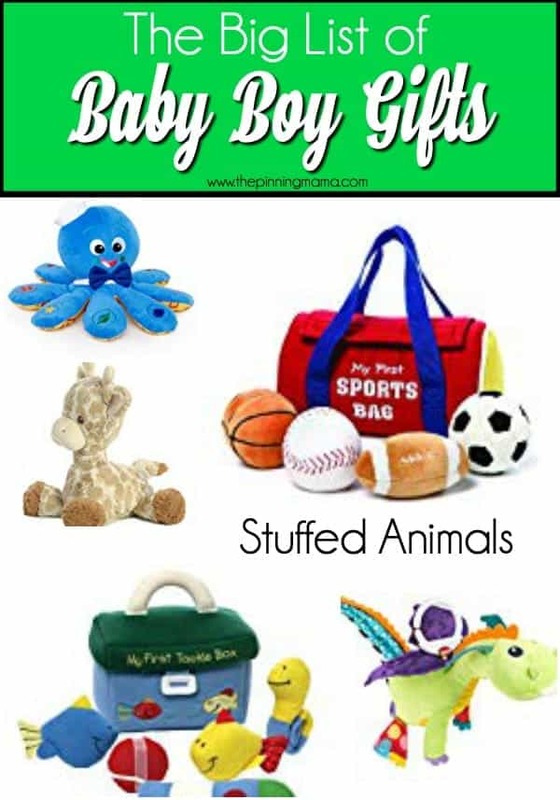 This list contains gifts for all your baby boys needs. 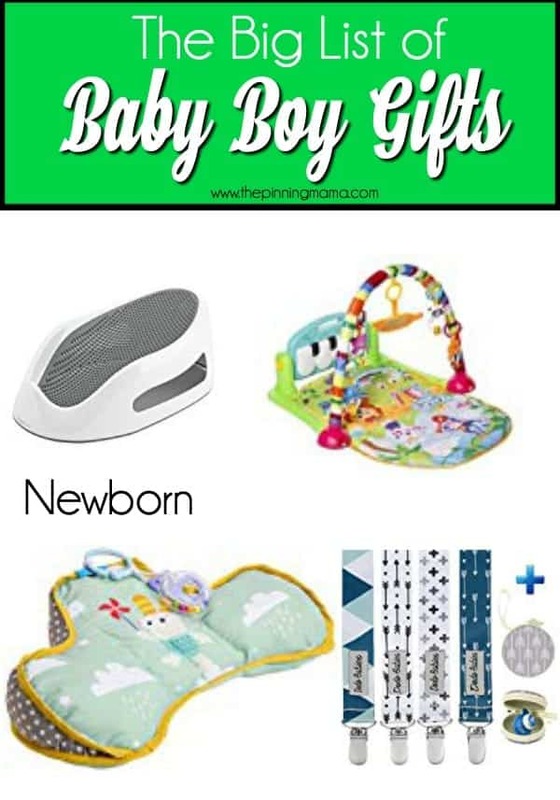 I have searched high and low, talked to other moms, and compiled a list of our favorite gifts for baby boys. You will find gifts from all different price ranges in this gift list. Gift giving is one of my favorite things to do. I get so much joy our of each and every gift I give. I am just an everyday mom sharing my favorite gift ideas with you. Happy Shopping! 0-6 months of age is a time where your little one starts to grab and notice things each and everyday. I love when your little one makes eye contact with you and smiles from ear to ear. My favorite item in this list are the cloth books. My little ones would stay busy for hours chewing on and squeezing the pages as they make a crinkle sound. 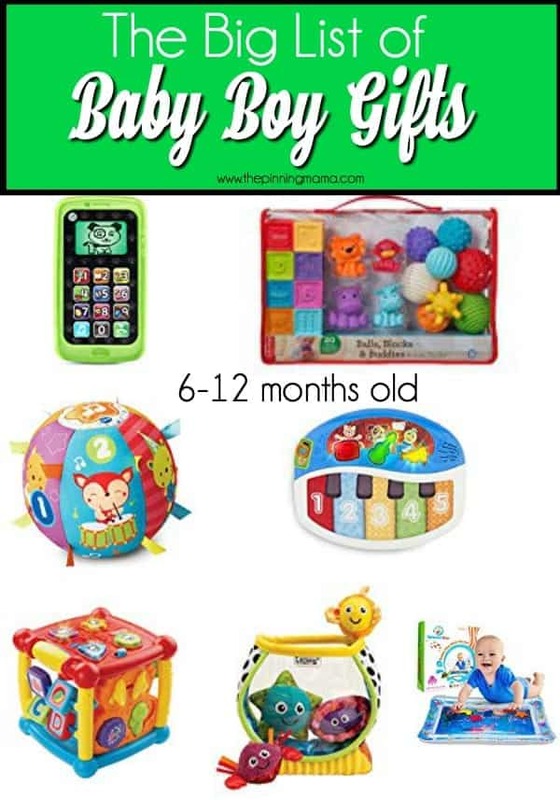 6-12 months is such a fun age where little ones start to crawl and explore items around them. They start to grab at more items around the house and I find they like toys that move and have lights on them. My favorite item in this list is the blocks. My kids have love blocks at such a young age. 12-18 months is the age where kiddos start to walk and find themselves getting in more trouble. This list contains items to keep your kids attention and move with them. My favorite item on this list is the learning workbench. My little guy loved playing with this and it would keep him busy for a while. 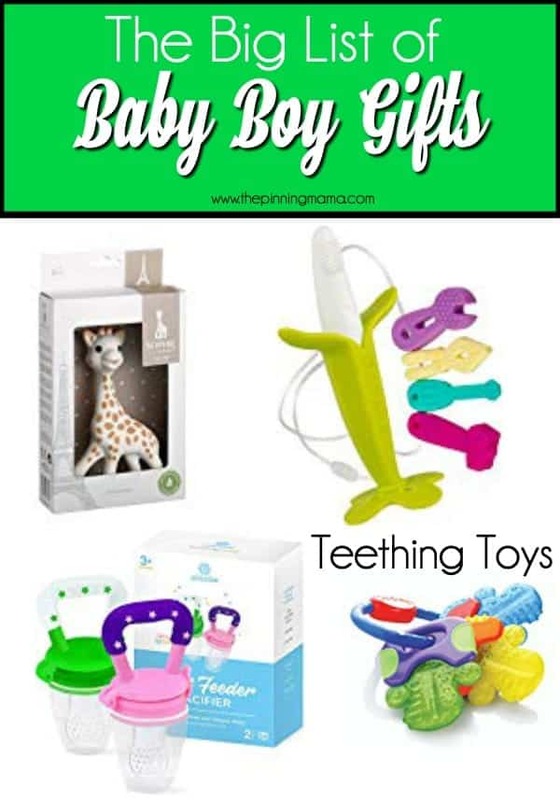 Teething toys can be a life saver. When your little one is teething and those gums are swollen, finding ways to relieve that pain can help both him and you. Teething can be a frustrating time but finding ways to cope with it will help ease the tension. My ultimate favorite teether I have used for my kids is Sophie the Giraffe. It’s always hard to figure what to buy for newborns. You will find my favorite items to give to mom’s for their newborn babies. You can find my BIG List of Newborn Gift Ideas here. When those little ones start to walk, life becomes a bit more exciting. 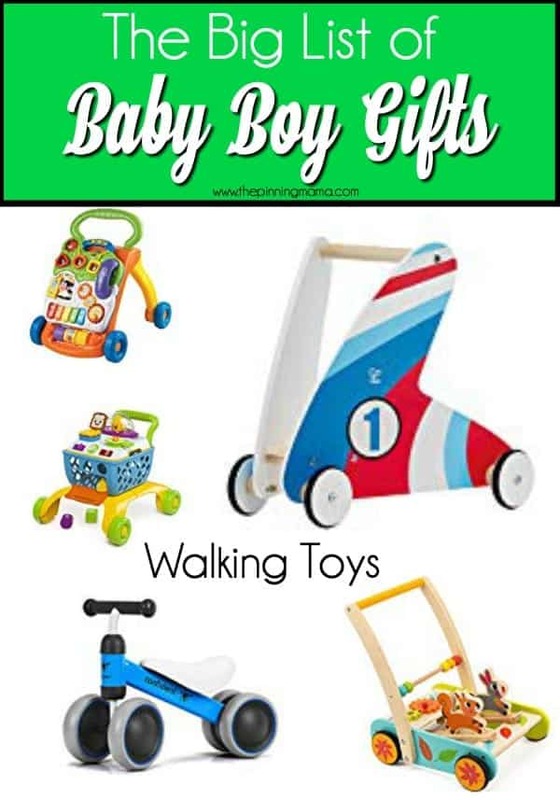 I found a few of our favorite walking aids and toys. One my absolute favorite toys in this list is the balance bike. My little guy went from his balance bike straight to riding a bike without training wheels. 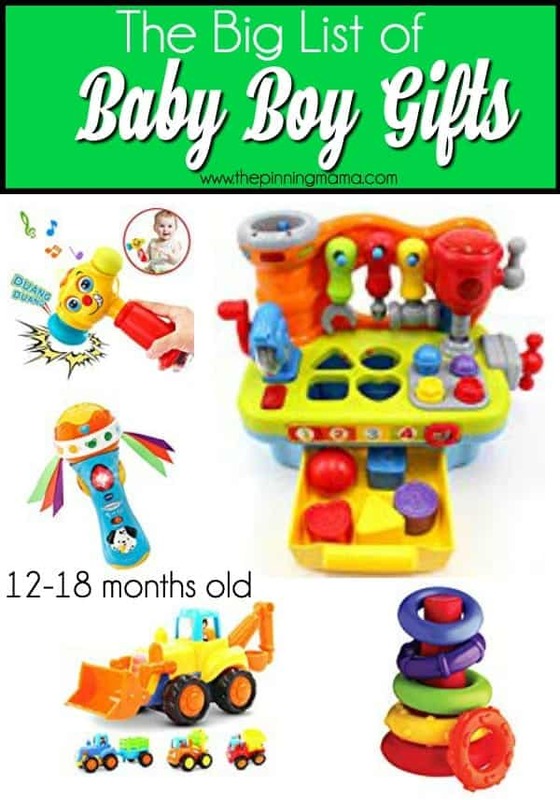 I found a list of cool and different gifts for baby boys. I’m always searching for fun gifts to give others and my kids. My favorite gift on this list is the friction powered cars. My little guy still plays with these cars and he is 6 years old. My kids love stuffed animals and have a story about each and every one of them that they own. I found a few options of fun stuffed animals for your boy. My favorite on this list is My First Sports Bag. What a fun way to introduce sports to your little guy. I hope you have found a few great gifts that sparked your interest in this list. Everything is linked here for ease of shopping. 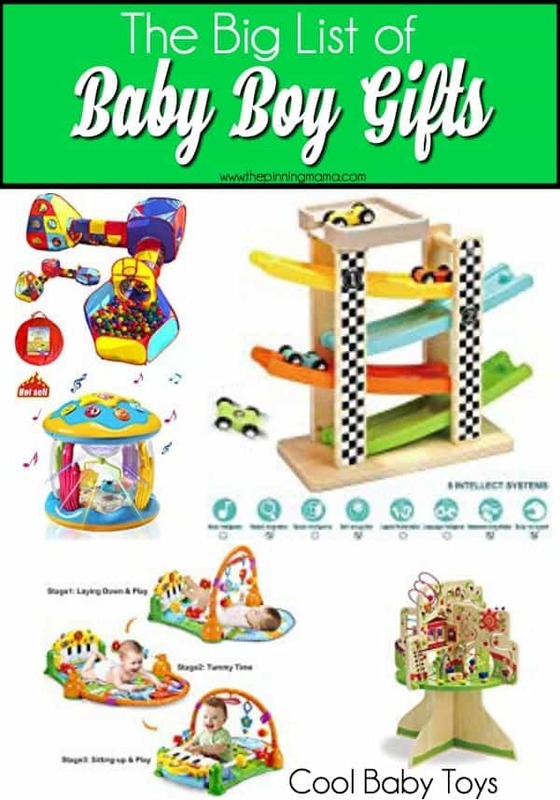 If you have any additional ideas for Baby Boy Gifts please comment below, I love to hear from my readers.